"My work has become a simple metaphor of life. A figure walking down his road, making his mark. It is an affirmation of my human scale and senses." 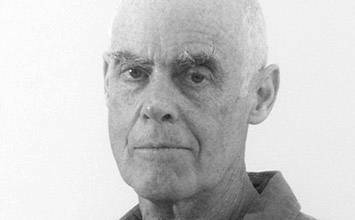 Using his walks as art, Richard Long's excursions into nature and his minimally invasive marks on the landscape have broadened the definitions of sculpture to include performance and conceptual art. While the work is often theoretical and hermetic, he contextualizes his actions in more universal and historical terms, however explaining, "if you undertake a walk, you are echoing the whole history of mankind." This primal quality runs throughout his art, even pieces designed for a gallery or museum setting are crafted from elemental materials of stone, sticks, muds, or else are simply photographic or textual records of his experiences. Yet through these unassuming gestures, Long's art has influenced generations of Land artists and has shifted the notion of art away from the object and the idea of permanence. Working with natural materials in their original setting and leaving his creations to be reclaimed by nature, Long has refused the notion of art as a permanent object. By refusing to create lasting or monumental structures, he has expanded the acceptable materials and techniques for sculpture and undermined the traditional ideals of that medium. Furthermore, in rejecting artistic media and techniques in favor of minimalist rearrangements of natural materials, he harnesses unassuming materials to create meaningful statements. With his simple forms of circles and lines, Long connects the viewer with lyrical and timeless elements of nature. His truthfulness to the natural state of his materials and his respect for the landscape results in works that emphasize the beauty of nature. He makes small gestures that carry deep meanings, suggesting the long history of man's relationship to the environment. Whether in the minimal footprint of his walks and interventions in the landscape, or his reverence for the unadorned beauty of elemental materials like mud, sticks, and stones, he encourages the viewer to appreciate the straightforward, primal beauty of nature. Moving stones between remote locations or treading a path through grass, Long's most iconic works leave minimal impact on their natural environment and are often erased by the progression of time. In repeating these understated gestures, Long legitimizes these quiet interventions as art. He understands that, because his works are often undetectable, viewers might not even know they are looking at work of art, but that his experience itself and his intentionality qualifies even the simplest actions as artistic expression. Long believes that it is not necessary for the artwork to be understood as art by the viewer, but that his presence and actions are sufficiently artistic without this external acknowledgment. In expanding the definitions of sculpture, Long has incorporated interdisciplinary elements from Performance art, Conceptual art, and photography. Where photography began as a way of documenting his performative actions or temporary interventions in remote locations, it has evolved to be a carefully considered component of his work. Long insists that "even though a lot of my work takes place in the landscape, the gallery is the conduit for bringing my work into the public domain" and therefore it is necessary to create artifacts or records of his experiences that can be shared with a viewer. 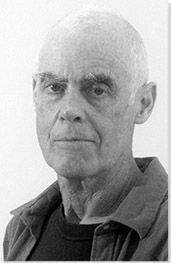 Born in Clifton, a suburb of Bristol, England, as a young boy Richard Long played alone in the surrounding hillsides and lush nature of the Avon Gorge. He often returned home after miles-long walks, during which he immersed himself in the natural landscape. His liberal-minded mother and educator father fully supported Richard's desire to explore the outdoors and practice art. This piece is a straight line in the grass, a path-like impression made through the act of simply walking. Long transforms the landscape into his personal canvas, pacing repeatedly over an unremarkable patch of grass in a London park until a distinct line appeared. The artist then documented this alternation with a photograph, which he took at a perpendicular angle so his trace can be easily seen. The resulting work is part performance, part sculpture, and part photograph, transcending these categories to create a piece that exists in all these categories. Incorporating elements of performance into the sculpture and preserving the work through photography, his process was as much about the resulting photograph as the sculpture was about expressing the journey and the event of walking. This work was executed directly onto the wall, painted with actual mud that Long transported from his hometown of Bristol to the museum in Ontario, Canada. Echoing his performances in the natural world, he then used his body to create the mud marks on the wall, applying the mud with his bare hands and preserving the smudges of his fingertips and handprints on the wall. The process of his painting remains highly visible, revealing a repeated motion that suggests patterning amongst the loose and splattered effects that extend beyond the sphere. Through simple, bare gestures, Long creates an intricate pattern; working with the humblest materials, he creates an object of nearly hypnotic beauty. Installed on the gallery floor, this sculpture is comprised of a ring of red rocks, arranged precisely to create a four-meter wide circle. Long collected the rocks from an area near the state border between Vermont and New York, bringing them into the space of the gallery to create his own landscape. He cut the rocks smoothly and flatly on the bottom while leaving the remainder of their structure untouched and jagged so that they point upwards in a jarring and irregular manner, recalling the rugged origins of the red slate being quarried from the earth. He retains the natural look of rocks split by organic processes, but accomplishes this through the painstaking work of leveling the unseen surfaces. This lithograph and screen print, which measuring 189.50 cm high, stands roughly the size of a man and catalogues a series of experiences noted during a sixty-minute walk. The number 60 runs throughout the piece, which features 60 lines of texts and was then reproduced into 60 prints. With this repetition, Long draws our attention to the temporal quality of this walk, presenting us with one descriptive word or phrase for every minute of his journey, describing what he saw, heard, felt, and did. This site-specific wall painting was commissioned for the opening of the Tate Modern. Installed over a gallery wall, Long painted a large rectangular swath of black paint over which he slung a mixture of white china river mud and water, rubbing and wiping the material with fluid movements to create a swirling pattern. The application appears chaotic, yet patterns emerge, suggesting some underlying order or logic. The fervor and intensity in which he added the mud is suggested by streaks that run down the wall, leaving energetic lines that evoke the elements: leaves falling in the wind, or a strong rainstorm. Waterlines is a line drawing made in nature. Long created two broad, snaking lines extending from a riverbank in the Warli Tribal Land of Maharashtra, India, reaching into the landscape towards fields and trees. He then photographed the result; the final photographic work includes the two lines and also two figures in the distant background. The inclusion of these figures emphasizes the composed nature of the photograph as a work of art, not simply evidence to document the performative event.